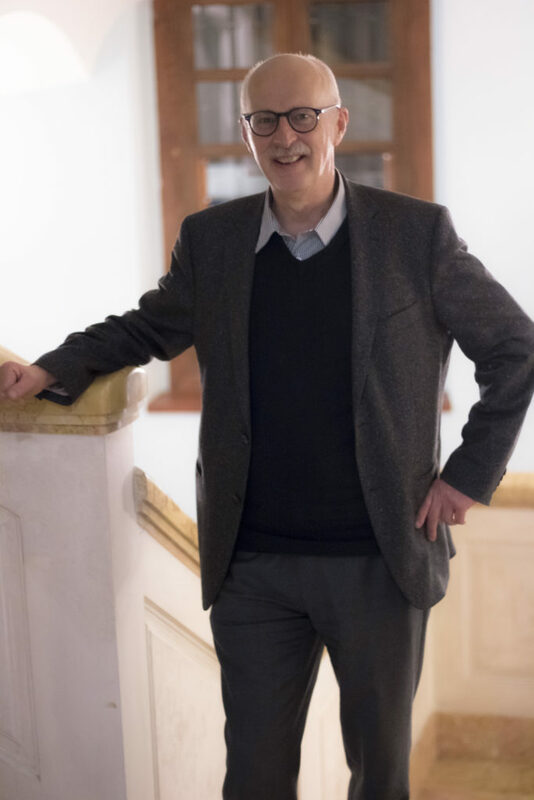 Robert Jütte (Warstein, 1954) is Director of the Institute for the History of Medicine of the Robert Bosch Foundation and Adjunct Professor of History at the University of Stuttgart. Besides working as an editor for the medical-historical magazine Medizin, Gesellschaft und Geschichte (Medicine, Society and History) and coeditor of the Jewish history magazine Aschkenas , Jütte is chairman of the steering committee of the Scientific Board of the German Medical Association (Wissenschaftlicher Beirat der Bundesärztekammer). 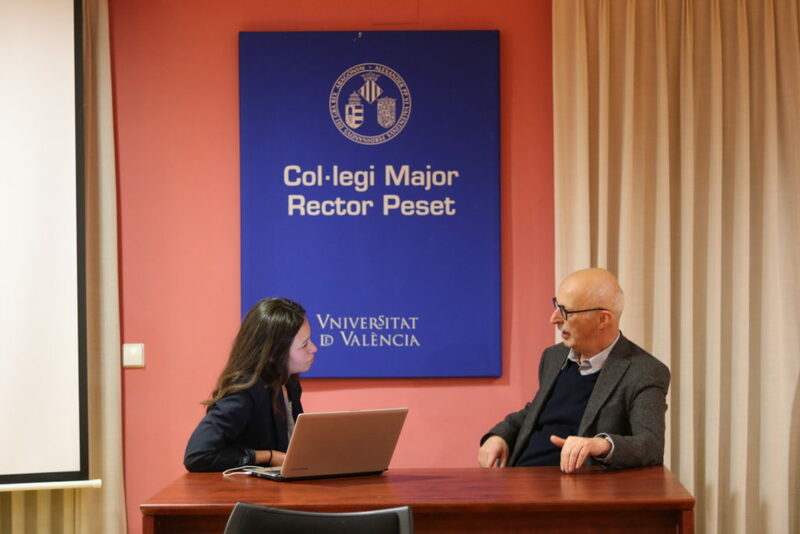 In midst of a controversy that has surrounded the alternative medicine practices in Spain, the recently awarded Doctor of Hebrew Letters honoris causa sits down to discuss, after his conference at the University of Valencia, the placebo effect and the homeopathic treatment. Do you think placebos can, not only relieve pain, but actually heal a patient? Absolutely. And there are objective results which you can see in the laboratory, in blood tests, etc. They won’t cure everything, but pain, for example, can be treated with placebos. Unfortunately, there are not many studies showing in which clinical cases it would be okay to treat with a placebo but there is evidence that patients suffering from pain, depression, chronic fatigue and rheumatic diseases have gotten better due to this type of treatment. How long does the placebo effect last? People believe that placebos do not work in the long term but this is not particularly true. Trials with sham knee arthroscopy surgery for example, indicate that placebos can have a long term effect lasting up to a year, producing, by the way, the same positive results as conventional surgery. Knowing what we know now about how powerful placebo effects can be, do we have to question the outcomes of previous clinical trials not involving a placebo group? Should we look back and question past research statements? I wouldn’t want to describe it as revolutionary but the deeper knowledge on the placebo effects definitely challenges medicine, as well as pharmaceutical and biomedical studies. Why? Because it works, there is nothing in it, but it works. The former conception in which placebos where used just to prove that a certain drug worked better has to be questioned. We need to be very skeptical and look back into past studies to see if the methodology was correct and if negative results concerning the active drugs tested were completely published. Also, if the difference between the drug and the placebo is not significant then the use of the latter should be considered as a therapeutic alternative. Placebos are not only cheaper, but they have also no related significant side adverse effects. Why should people pay to be prescribed a placebo if they could take a less expensive “drugstore candy” and, if believing hard enough that it will work, get the same effect? Many factors determine if a placebo works or not. Besides the importance of the therapeutic context related to doctor/patient relationship, the drug itself has to have certain physical characteristics. There are studies that show that people trust blue pills more than pills of other colors, for example. The same happens with size and shape. I once had a discussion with a health economist in Germany who said that if there is enough scientific evidence that prove that placebos work then the health insurance should pay for it, whether it has an active component or not. But the real question is not who pays for it but who produces it. It would be necessary to cooperate with the pharmaceutical industry which will certainly not be happy about it. Why not? Will the pharmaceutical companies be worried that the demand for other more expensive drugs would decrease? The pharmaceutical industry would face a mayor structural problem. Big pharma has already been criticized for their incredibly high price. How would they be able to justify the price of a pill that has no expensive active components compared to one that does? Furthermore, placebos could not be sold under a brand name. So we might face the same problems as with biosimilar drugs, which are those identical copies of an original biological product but manufactured by a different, usually not so renowned, company. Studies show that if a drug is cheaper and is not sold under a trade name, people tend to believe that it is of a lower quality and so it will not work as well. You see? We already have encountered this problem in clinical practice. In case of a good doctor/patient relationships, people would take the biosimilar drugs if their physicians tells them convincingly to do so, and explains them that they work the same. You have been mentioning the importance of the doctor/patient relationship. In real life whether you feel empathy with your doctor or not is not something that can be controlled by the health care system. How do you think this limits the possibility of using placebos in day to day medical practice? You don’t meet the patient in a vacuum. The patient is part of a medical and healthcare system that needs to be improved. Giving more time for doctors not to speak but to listen to their patients can make a huge difference. And I am not talking about hours. Research has shown that even five minutes can be enough if the patient feels that he is being listened to. It is about the quality not the quantity of the communication. Nowadays doctors hide behind the laptop screen, typing the diagnosis and the prescription, while the patient sits there, waiting. On the other hand, the users of the healthcare system, the patients, have the responsibility to cooperate and be sure to have trust in with their doctors. People shouldn’t keep on going to a doctor they don’t feel comfortable with. Do you think one day placebos will be prescribed by a doctor as any other medicine? This can only work if we have more of this innovative research using the open label approach in which the doctor tells the patient: “You are getting a placebo. You don’t know what a placebo is? It is just a sugar pill!” And this works. Maybe not in every case but so far we have eight studies with positive results for different kind of illnesses like depression, migraine, attention deficit disorder, among others. The experimental design shows that even if you tell the patient that it is placebo, it works. Is there any resistance from the scientific community to take placebos seriously? Despite the fascinating promising results that have been published in major journals , there are still many doctors who think that the old way works better. After you have studied at least 5 years at a medical school plus the specialization and practical training, you are convinced that it can´t be possible to get the same results from doing a little bit of voodoo as by applying the knowledge you got from medical school. The placebo studies done on the diseases previously mentioned show that almost the same effects can be achieved by using the placebo effect, this is a shocking insight, I can´t blame them, but they need to be more open minded about other available therapeutic solutions. Some of the practices of complementary and alternative medicine have recently become a controversial topic in Spain. At the end of last year the Spanish government released a plan to fight against any non-evidence-based medical practice. Among those practices homeopathy is one of the most known and used. What is your opinion on the governmental regulation of this type of practices? As a historian I have to say that since the 19th century governments have tried to ban homeopathy and it just doesn’t work. Homeopathy has been kept alive by the patients who believe that it works for them and if they have difficulties in getting it funded and distributed they will find a way. It is the patient who decides what he wants to get and the only governmental duty is to make sure that the homeopaths are trained professionals. In India, for example, a homeopath can´t prescribe aspirin and doctors cannot prescribe a homeopathic treatment. Each one with its own specialty. The patient is the one to decide to trust a homeopathic physician or a conventional doctor. I see this anti-homeopathic waves coming and going. Sometimes it comes just when the journals do not have anything to report so they go back to writing about it. Do you believe that homeopathy is in some way the result of a placebo effect? Homeopathy is not equal to a placebo, but it achieves the best placebo effect imaginable. It is highly individualized and it does not only apply to highly diluted drugs. The father of homeopathy, Samuel Hahnemann, always said that homeopathic treatment has three pillars on which it stands: the drugs, the full trust in the doctor and his therapy and dietetics (including life style changes). Marriage, exercise and a good sexual life are all factors which contribute to improve one´s health or to recover from illness. So homeopathy is actually a combination of several factors that makes it the perfect placebo. How do you envision the use of both placebos and homeopathy in the future? I hope that due to the placebo studies we will be less confident of what we think we know. The most important thing is to start having a pragmatic approach to healing and to acknowledge that despite all the fantastic discoveries in biomedicine, there are other treatments available. We shouldn’t forget that the majority of illnesses treated by doctors, especially by general practitioners, are not severe cases and that we should use any approach available to alleviate and help this patients. Placebo, homeopathy and other alternative methods should play an important role in medicine. Otherwise we will not cope with the demographic development of people getting older and sicker, where the only solution seems to be the use of expensive drugs that, in the long run, no health care system can actually afford anymore. Esta entrada fue publicada en Entrevistas por Daniela Vidal. Guarda el enlace permanente.